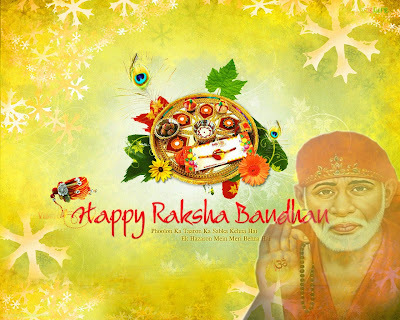 Sai Wallpaper: Raksha Bandhan Wishes to Sai Parivar. 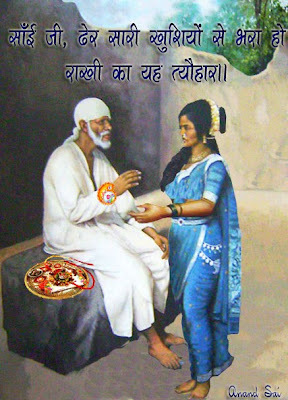 Today we are happy to publish the Pictorial Represention of Raksha Bandhan during the Time of Sri Sai Baba at Shirdi. 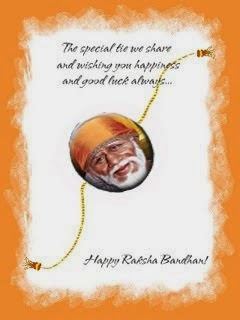 This is Artist's Imagination on Sai Baba Being tied Rakhi by smt. Lakshmi Bai Shindi who used to call & treat Sai Baba as her brother. to all Sai Parivar Members". Raksha Bandhan celebration is the festival to express the immaculate love between brothers and sisters. This festival is being celebrated with fervor and joy since ancient period. 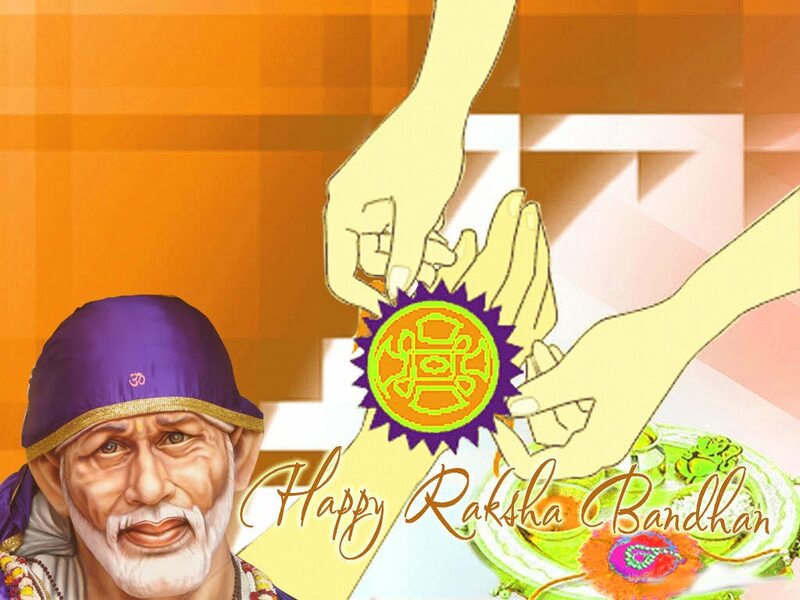 Rakhi epitomizes the unconditional love between brothers and sisters. 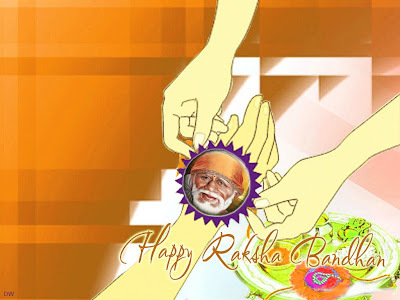 Ladies start the preparation at least a fortnight before the festival. 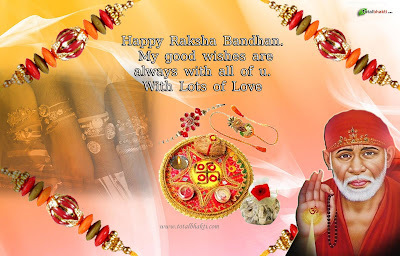 In order to make the day special, they buy rakhis, rakhi gifts, rakhi pooja thalis, sweets, etc for making the day special. 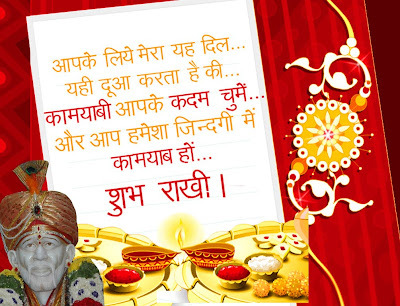 This is also an occasion for family get together where they collectively celebrate this sacred festival. Exchange of beautiful rakhi gifts among dear ones make this occasion a sweet remembrance for many years to come. We are sharing some Wallpapers of Raksha Bandhan with Sai Baba in it to mark this event. 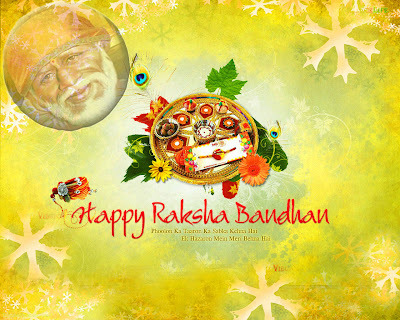 Sai Baba's Wallpaper for Cellphone Download.